Fully merged keycodes: A function could require three keystrokes but still fit on one line. This was achieved by using 8 rather than 6 bit instruction words allowing 256 distinct operations. Better program editing including BST (backstep), displaying step numbers and the ability to GTO step numbers in program mode. 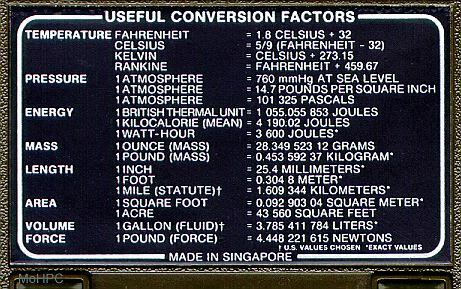 Ability to read/write data to/from cards. All or some registers could be read or written. 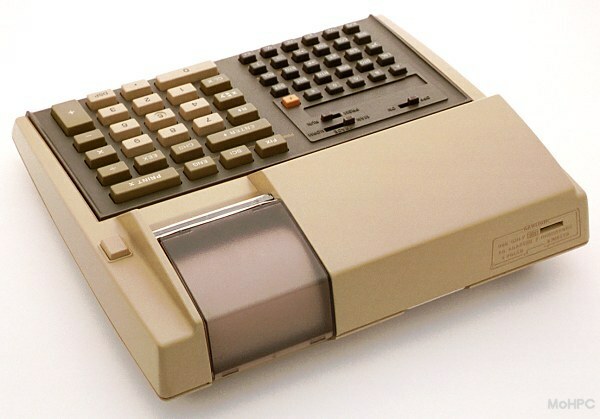 "Smart" card reader recorded calculator modes so programs didn't have to include steps to set up the calculator. Program merging allowed reading partial programs from cards and merging with the already loaded program. This could be done under program control or manually. Comparisons of x with 0. Increment loops as well as the HP-65's decrement loops. The HP-67 packed so many functions on to a small keyboard that three shift keys were needed. The HP-97's larger keyboard needed just one shift. The HP-97 added the same printer introduced in the HP-91. This battery powered printer could print the display, the stack, data registers and programs. Programs were printed with step numbers, keycodes and key mnemonics. It could also be used in trace mode to debug programs. 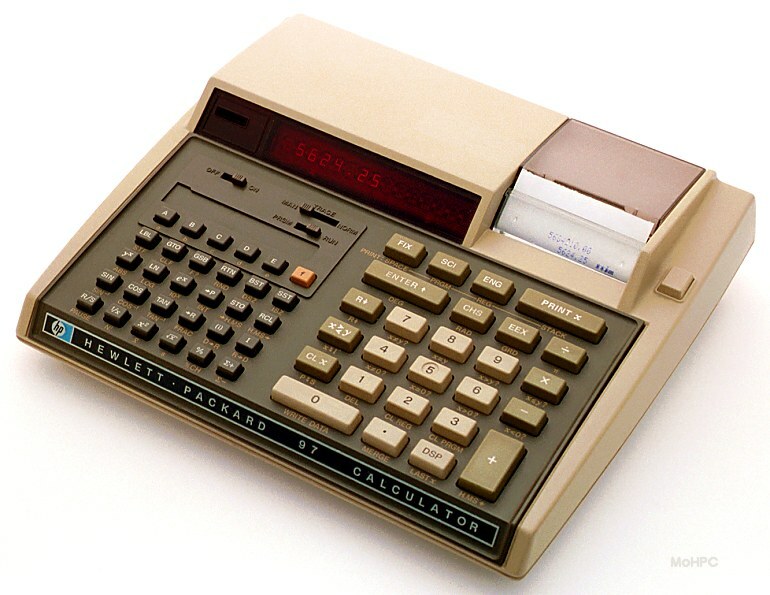 Indirect Addressing was a particularly important addition giving the calculators, true computer power. Once a value was stored in the indirect register via STO I, it could be used to control store and recall addresses, goto and gosub addresses, format the display, and select a loop counter by using (i) as the argument. 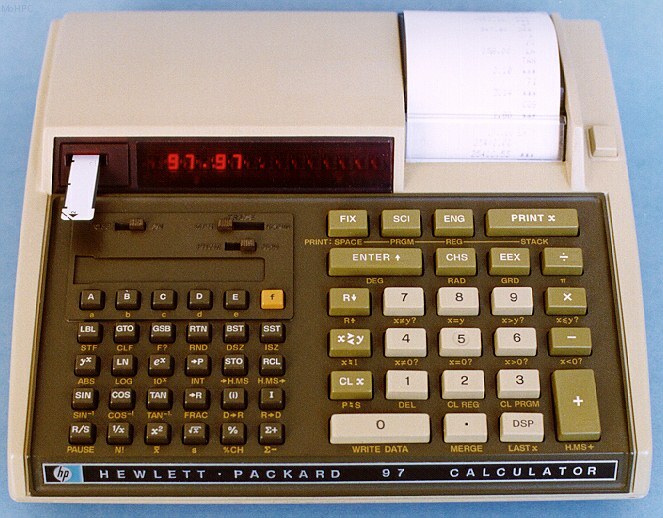 The HP-67 looked very much like its predecessor, the HP-65. 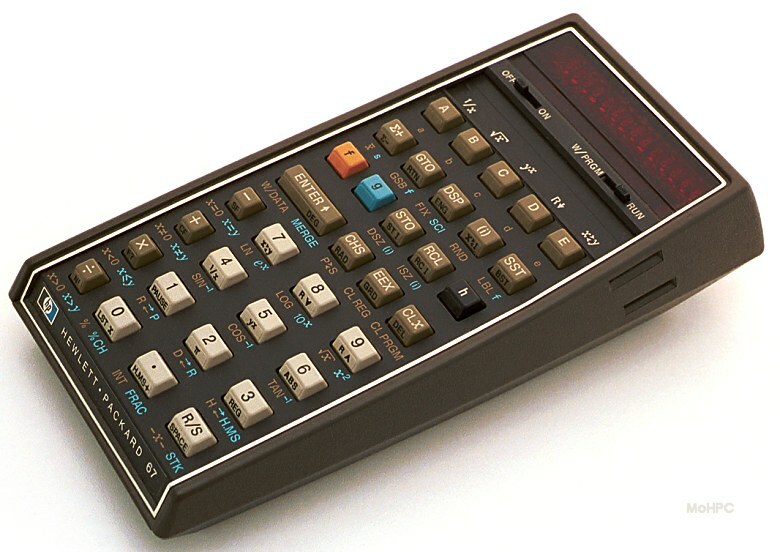 However, both the HP-67 and HP-97 were based mainly on the same technology used in the 20 series. This resulted in a great reduction in cost. In addition, a new ROM/RAM chip was developed just for the HP-67/97 calculators that contained 1024 10 bit words of ROM and 16 56 bit registers. 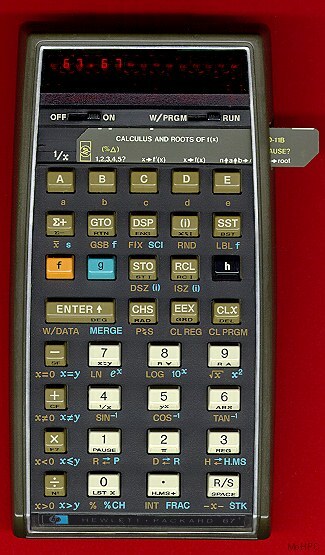 The HP-67/97 used four of these new chips to provide more storage at less cost than the HP-65's multichip hybrid.